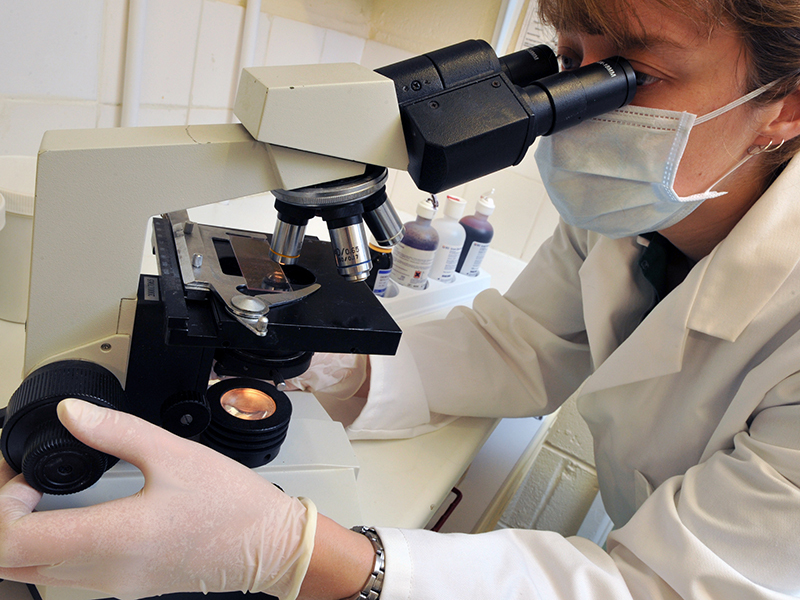 We perform dental procedures at three of our sites on dogs, cats and increasingly on rabbits using equipment you would recognise from your own dentists’ surgery. At our Charter Veterinary Hospital, Roundswell we are one of the few facilities in Devon providing dental radiography. This greatly improves the services we can offer within the group. 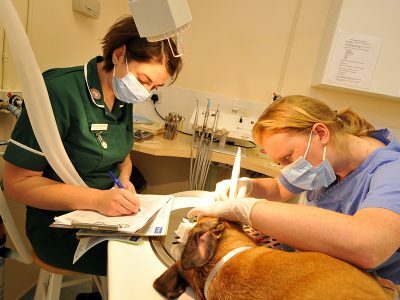 In recent years, the importance of dental care in pets has been realised. What you can now do for your pets’ teeth at home has come on leaps and bounds. 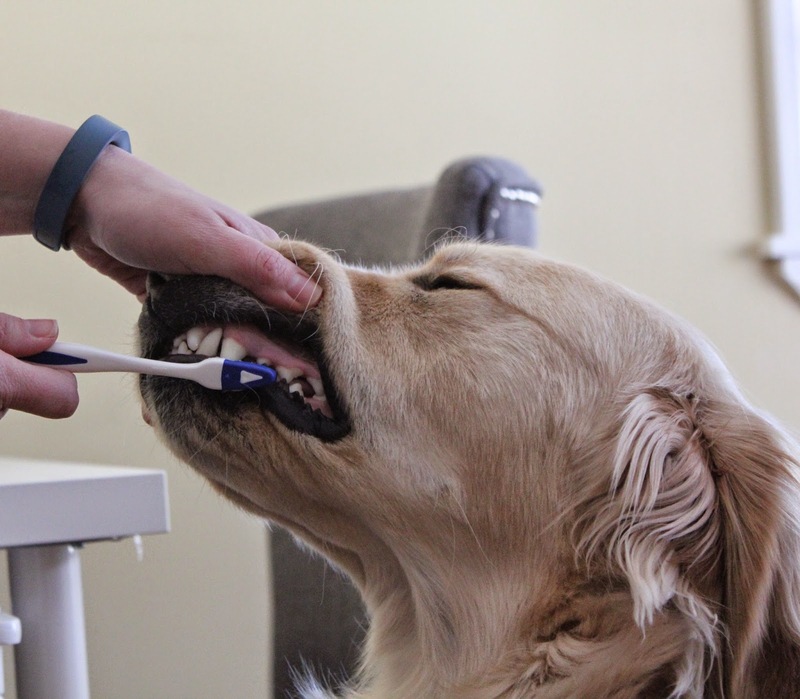 There are a number of tooth pastes and brushes available for dogs and cats and brushing your pets’ teeth should be the corner stone of dental care just as it is for us. 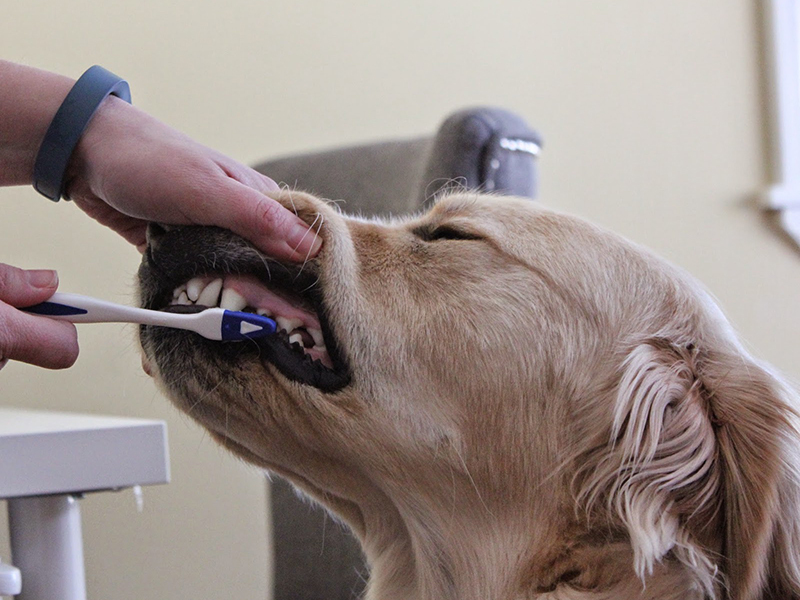 If you are patient and introduce teeth brushing in the correct manner, the vast majority of dogs will tolerate it and with chicken flavoured tooth paste, many pets will look forward to it! Cats can be more stubborn but a significant proportion of cats will tolerate brushing. For a small minority of pets, brushing can just be a little strange and too much to cope with! In this scenario, plaque and tartar development can be significantly reduced by using oral hygiene rinses, a specialized diet and chews can have a role to play. If you do not pay attention to your pets’ teeth, it is a very real possibility that they will end up looking similar to the teeth shown below where there is severe tartar build up and subsequent gum disease. As you may expect, with the teeth above, there would be quite a list of problems you may note at home. These would include bad breath, reduced appetite or slow, tentative eating. You may note your dog chewing on just one side. There may even be signs of pain with your pet rubbing their face with paws or on objects in the house. Some of the dangers of having teeth as shown are not as obvious. Infection can spread up the tooth roots and cause infections of the jaw bone and hidden abscesses. Teeth like this will also cause a steady low grade septicaemia (bacteria entering and circulating in the blood stream). These bacteria in the blood are toxic to the heart muscle; they can seed infections in the heart or the other organs such as the kidneys. It isn’t just at home where pet dentistry has improved. At Charter Veterinary Hospital, we enjoy having a state of the art theatre. The dental theatre is fully set to perform all but the must specialist dental procedures. One piece of equipment that we have recently invested in is a digital dental x‐ray unit. This amazing bit kit allows us to take very accurate pictures of any given tooth and the surrounding structures. We use a tiny x-ray plate that can be placed into your pets’ mouth. With the click of a button an image will appear on our monitor in just a few seconds. Much like an iceberg, a large percentage of pets teeth are out of sight. Lying below the gum line, it can be impossible to assess the tooth roots and surrounding structures without x-rays. Examples of cases which benefit from dental radiographs would include cats suffering from FORLS (Feline odontoclastic resorptive lesions) and dogs with tooth root infections or abscesses (periapical disease). FORLs are unfortunately a very common lesion that can be found effecting domestic cats. The underlying cause for them remains unknown. FORLs cause the outer structures of a tooth to be eaten away. Once the enamel and dentine of a tooth are eroded the sensitive pulp cavity is exposed to the outer world. As you may appreciate, this is an extermely painful condition and can be likened to having an extremely sensitive tooth all the time. They commonly occur at the junction between tooth and gum are characterised by a fleshy pink appearance where you would expect to see tooth! They can occur on both clean and dirty teeth. It is helpful to take radiographs in all these cases to assess the roots. Just looking at the tooth on the far left of this picture, the root furtherst left is no longer present whereas the root on the right will require extracting. It is wise to check your cats’ mouth for signs of FORLs as they may be suffering in silence. On an altogether different note, the causes for tooth root disease in dogs are known. Most commonly, they arise due to marked periodontal disease second to plaque and tartar formation. They can also come about as a consequence of a tooth fracture exposing the pulp cavity. Often dogs suffering from this will present with a swollen face. The swelling is found just below the eye. On other occasions, the presentation can be more subtle. Dental x‐rays can differentiate between tooth root disease and something more sinister such as a tumour. X‐rays can also give a guide as to exactly which tooth root is causing the swelling. It can sometimes be more than one! Remember, these can be prevented by keeping on top of dental hygiene!